The road from Australia to Bali was heavy. We had a very early flight, so little rest the night before. At the airport we were picked up by the friend from Denpasar, who brought us directly to Ubud. We were a little early at the hotel, so we had to wait a bit until our rooms were cleaned. The garden of the hotel was very relaxed, so waiting was not a problem. And when we finally could get in the rooms, shower and sleep was the only thing we were able to do. 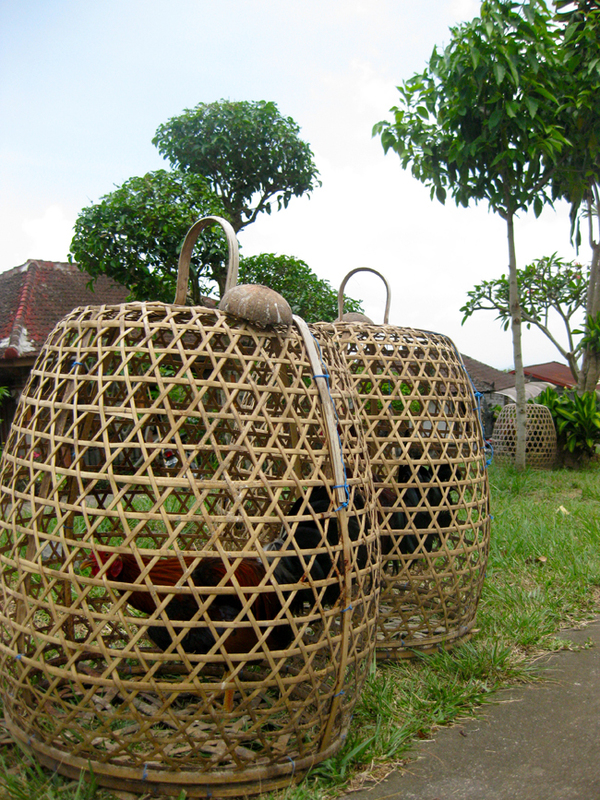 The first day in Ubud was almost over. Once it got dark and we started to feel hungry we went into town for dinner and some drinks. 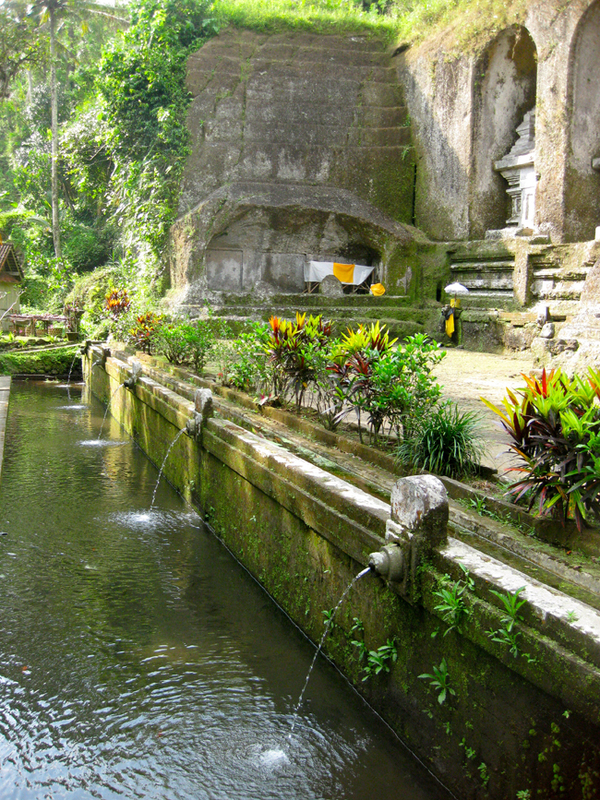 It was immediately atmospheric, Bali style. 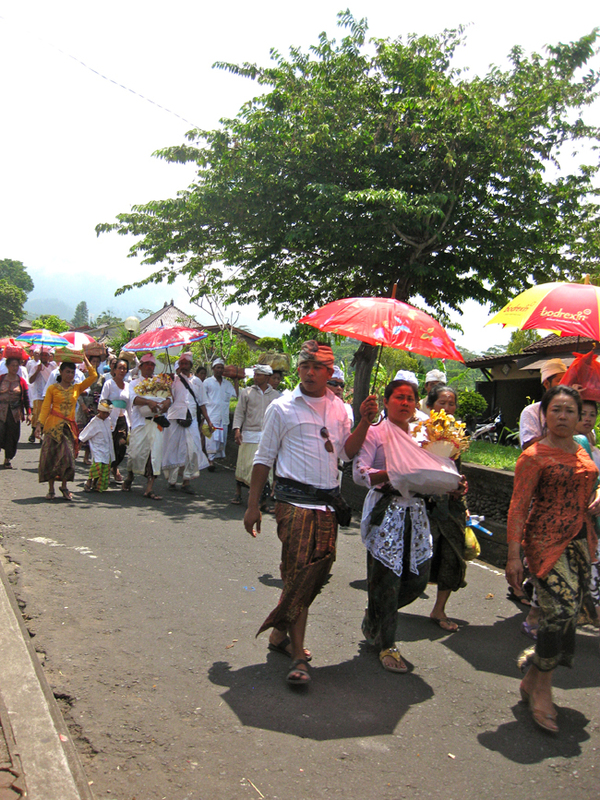 A large group of local people dressed in traditional attire were walking down the main street to celebrate a ceremony. We enjoyed this view and totally satisfied we returned to the hotel. 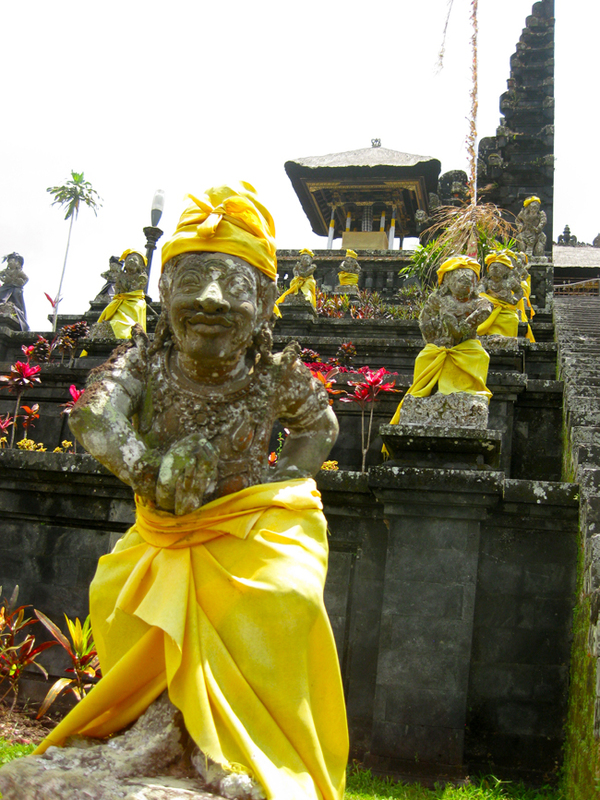 The next day, we were picked up again by our friend and went to 'Pura Besakih' together. 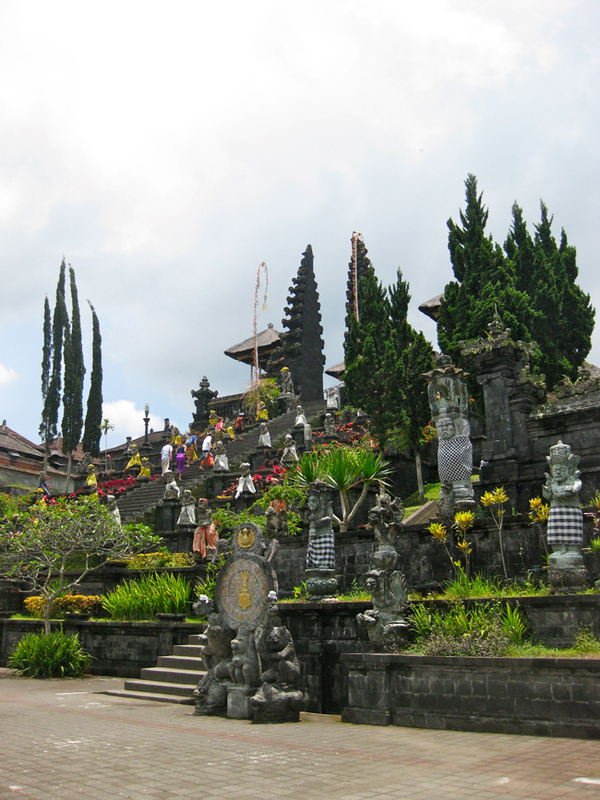 It's Bali’s most important temple and probably one of the most visited sites on the island. The road itself is an experience! We drove past many durian trees until we were surrounded by hilly and bright green rice fields. This is exactly how Bali looks like on the pictures. The temple complex looked wonderful. Unfortunately it was a bit foggy and we did not really see the background with mountains. This trip was not quite easy because of the hills and stairs we walked up and down. But we still had plenty of energy to continue. 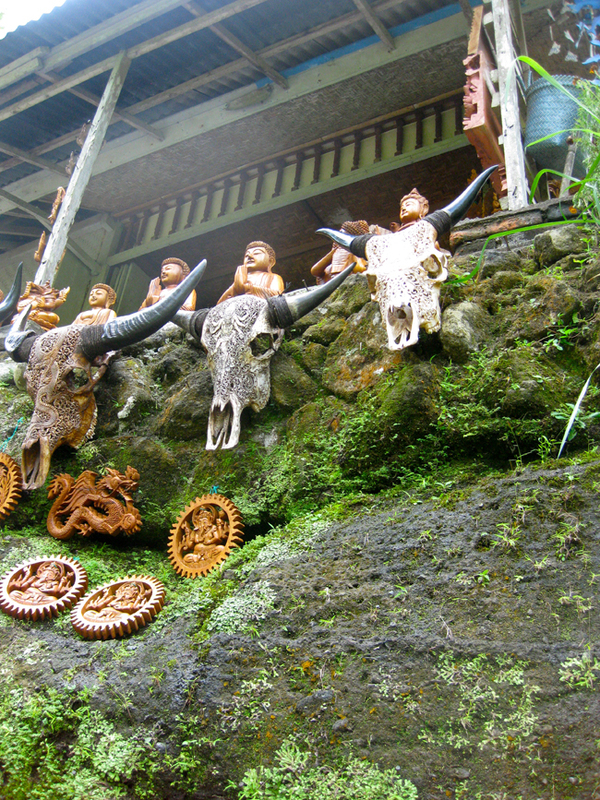 Our next visit was to the "Gunung Kawi ', the ancient royal tombs. There are several ideas of who exactly was buried here, which makes the place even more mysterious. The walk over here and especially back is challenging. Because the area is very hilly, there are many steps. The humid climate makes it a little more complicated. And again everything is surrounded by these magnificent green rice fields. The two important items for today were lots of water and sarong. If you do not have sarong, there are shop stalls everywhere. 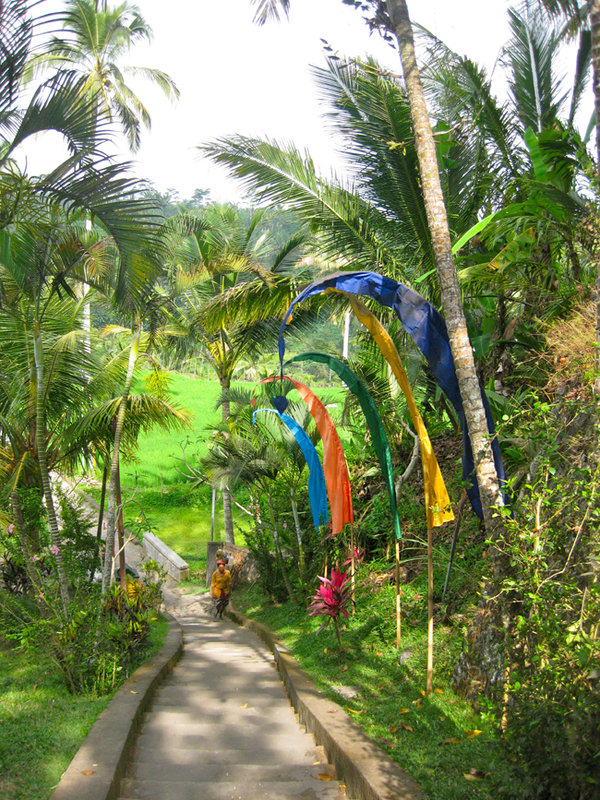 The area around Ubud is rich of sights, but we called it a day. We took some rest in the hotel pool until dinner time. Thereafter we went by taxi to a special restaurant: Sawah Indah. 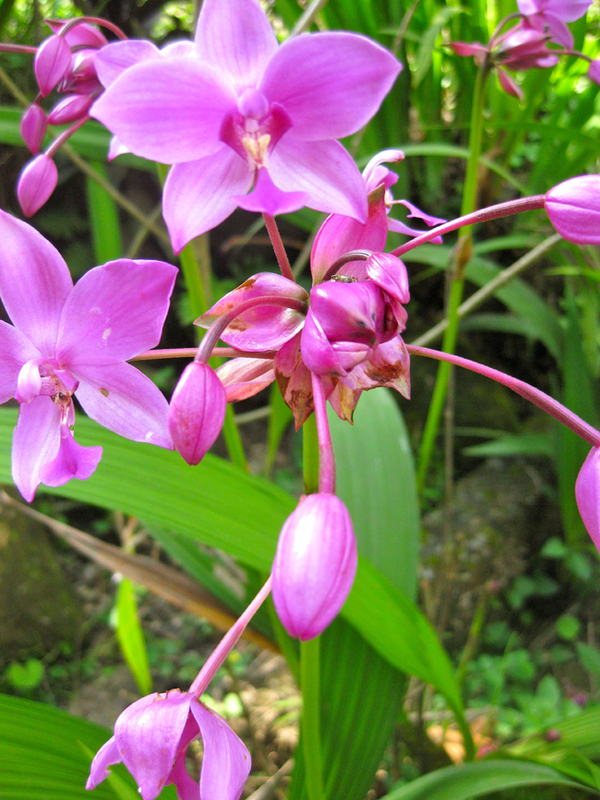 If we had more time, we would stay longer in Ubud. But according to our plan we had to head to the north of the island next day. So far the return to Bali was very good. Everything was absolutely enjoyable. So jealous of your travels love!